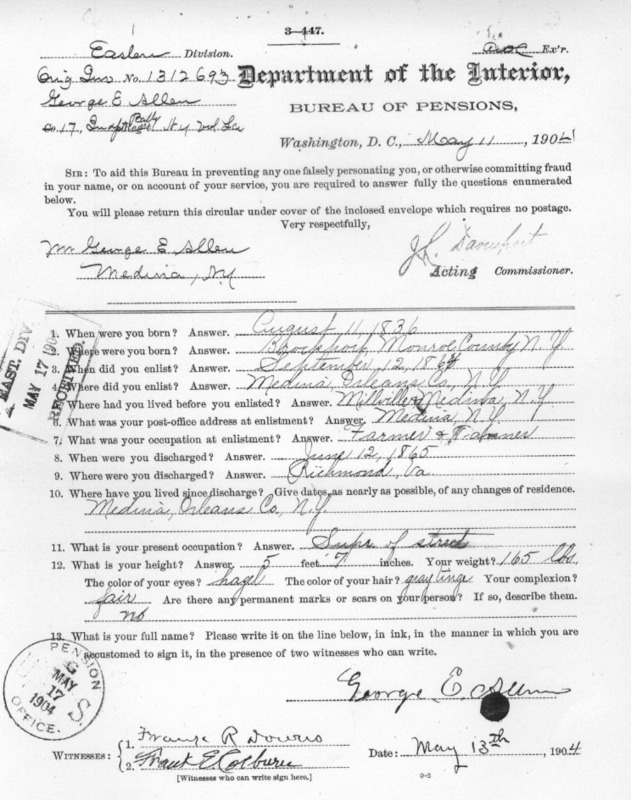 The two documents found below are part of the pension file of George E. Allen that was obtained from the National Archives. They provide a glimpse of our Great-Great Grandfather who was one of three brothers who enlisted in the Union Army. George's brother Henry was killed during the War. The file contained additional documents. Copies of the other materials are available upon request. 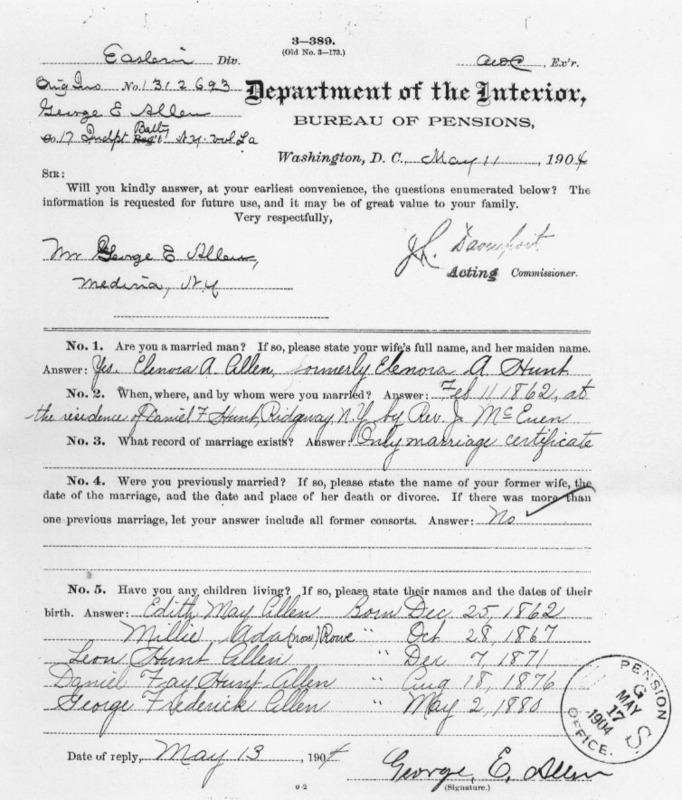 Also see his death certificate, also from the pension file.